In her biography of Alexander the Great (356-323 BCE), Mary Renault (1975) says that the book that more than any other inspired the Macedonian conqueror of most of the ancient Greeks’ known world was The Education of Cyrus, by Xenophon (c. 430-355 BCE). The book has been called the world’s oldest novel, appearing 400 years before Petronius’ Satyricon and more than 1300 years before Murasaki’s Tale of Genji. It was published around the time of Alexander’s birth. Most works on the conqueror emphasize his pronounced admiration for Homer's heroes. He visited the traditional gravesite of Achilles after crossing into Asia, and he and his best friend Hephaistion ran a reverential lap around it in honor of the Greek hero. He was also said to have slept with a copy of the Iliad under his pillow. But a number of Alexander’s decisions could be read as informed by those of Cyrus, such as Alexander’s respectful treatment of the captured wife and children of Darius III, the king of Persia whose lands he was methodically capturing, and his choices when it came to the day-to-day administration of conquered lands. The world’s oldest novel had at least one very early and admiring close reader. But what is this novel like? Commentators often call it didactic, and so it is. Xenophon had found himself in the unexpected situation of having been elected by a force of 10,000 Greeks to lead them after their Persian commander had been killed in the heart of Mesopotamia. His job was to get them back to Greece alive, which apparently he did. Perhaps the novel presents the kind of knowledge he would have liked to have been privy to and had had time to practice on the field before finding himself responsible for the lives of so many. His novel is an homage to the family of Cyrus the Younger in the form of a fictional embodiment of what he considers to be the ideal warrior and ruler. So there is a lot of advice on military matters: how to finance a war, how to properly feed and manage the sleep schedules of soldiers; the pacing of the march to the mean speed of all; how to administer conquered lands. 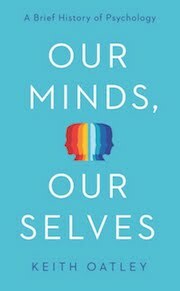 But there is a lot of psychological insight, too. Much of it is somewhat specific to the military: the general must really be wise, not just pretend to be wise to gain the confidence of the troops; leaders at each rank must trust their soldiers; there are times when troops need to hear an inspirational speech and times when they don’t; managing status-seeking among soldiers; how it feels when the second-in-command slowly and unwittingly steals away the affections of the troops; strategy and tactics. 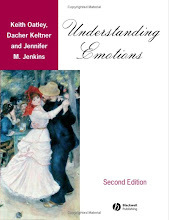 There’s also developmental psychology: the best age at which to learn particular lessons, when to indulge children and when to refrain; basic emotions: “so cruelly can fear, the prince of horrors, bind and subjugate the souls of men” (Xenophon, 1992, p. 78); complex emotions: bearing success with modesty and not insolence. Characters converse on the circumstances under which one may attain wisdom, on the relationship between wealth and contentment, and on the power of kindness and courtesy. 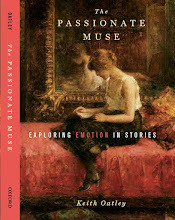 A rich specimen we find at the breakthrough moment of the genre. Renault, Mary. (1975). 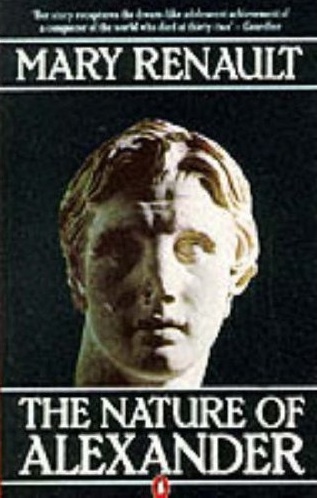 The nature of Alexander. London: Allen Lane. Xenophon. (1992). The education of Cyrus. London: J. M. Dent & Sons, Limited. H. G. Dakyns, trans. 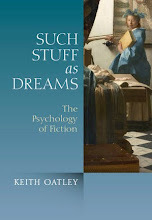 OnFiction has the aim of developing the psychology of fiction. Using theoretical and empirical perspectives, we endeavour to understand how fiction is created, and how readers and audience members engage with it. Researchers please consider joining the International Society for Empirical Research on Literature (IGEL, acronym for the name of this Society in German) and contributing to the Society's journal, Scientific Study of Literature. Copyright is held by the individual authors of posts and comments. You may republish material published here if you cite the author and the source.